Education: Learning Communities in Rural Europe (LCRE) What and how exactly can we learn there? 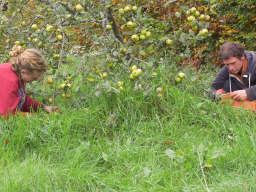 This webinar explains the concept of Learning Communities in Rural Europe as places to research how humans can lead a fulfilling life without exploiting neither other human beings nor natural resources, but instead develop ways of living that bring about richly diverse habitats and joyful everyday lives. LCRE offer no ready-made answers to such questions but have developed various opportunities to pursue themfor the people living there as well as for learners coming from all over the world, especially young people. This webinar will give an insight into various ways to open up space for informal learning, such as volunteer-programmes or opportunities for retreats combined with practical work. By transcending and transforming the usual roles of students or pupils on the on hand and of higher ranking teachers or instructors on the other hand, these ways create exchanges between researchers on eye level who jointly delve into fields of open questions. The webinar will also encourage to value and reflect the learning processes of the people in charge of running an LCRE.